Fusion 360™ is a cloud-based 3D CAD/CAM tool for product development that combines industrial and mechanical design, collaboration, and machining in a single package. Fusion 360 enables fast and easy exploration of design ideas with an integrated concept-to-production platform. Available only for use by educational institutions on multiple computers and/or network servers. 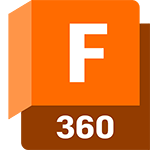 If you are a student or educator, get Fusion 360 here.